After Lunch we head to Oswaldtwistle Mill. 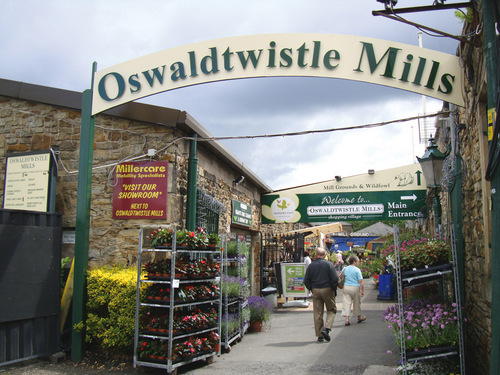 Oswaldtwistle Mills award-winning Shopping Village & Garden Centre in Lancashire has something to amaze, charm and intrigue visitors of all ages. The former Weaving Mill has over 100 retailers all under one roof offering everything from furniture and fashion to food, gifts, textiles, home furnishings, lighting and fish. More than just shopping, you can enjoy a whole day out; visit one of five Restaurants including our NEW Ice Cream Parlour, Gourmet Food Deli, Children’s Play Centre & Café, Aquatics Specialist, Textile and Heritage Museum, Mill Grounds and Wildfowl Reserve.